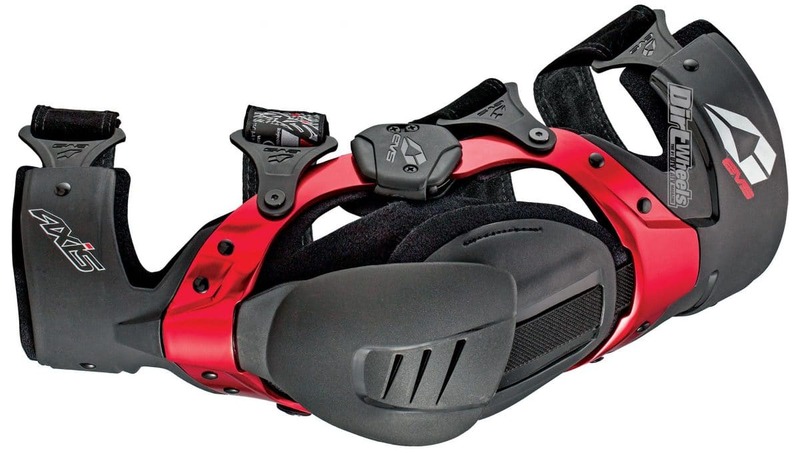 The upper and lower cuffs of the Axis Sport braces are made of reinforced nylon-injected pieces. Lately we have been wearing knee braces for riding quads. Some may think that knee braces aren’t that important when riding four-wheeled machines. Even if you never take a hard fall or roll over on a quad, riding standing up can put a lot of torque on the knees. We would rather protect our bodies with great products than repair them. 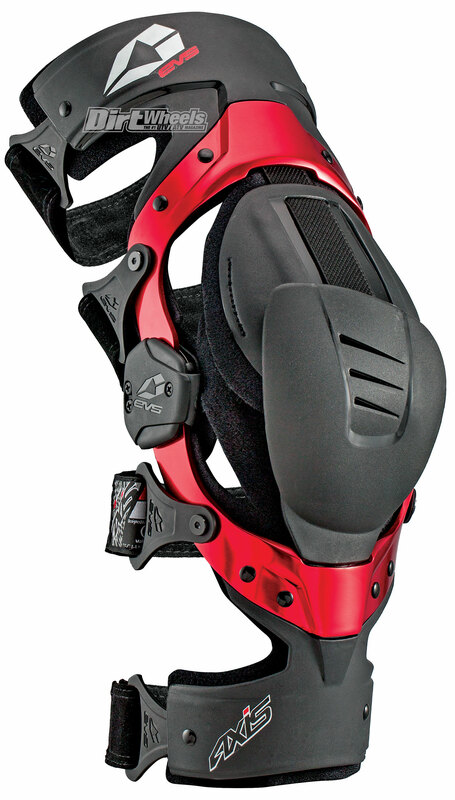 EVS’ Axis Sport knee braces sell for a combined price of $479 for both braces. Axis braces are made from high-grade aluminum and reinforced nylon-injected pieces. They’re designed to provide comfort while riding for long hours while offering knee-saving protection. EVS’ Tru-Motion 2.0 anatomically correct hinge system has adjustable hyperextension lockouts so you can choose how far your knee extends. The Dual Defense knee cups slide over each other so there is little resistance when bending your knee, yet it is covered at all times. The Sharkskin neoprene liner is well-made and has around 1/4-inch of padding, but we highly suggest purchasing EVS Tug Fusion socks for $29. They cover your knees and end at the upper thigh, so the braces have the ability to slide up and down a bit as you bend your knee and not cause discomfort. Axis Sport braces come with four main Velcro strap systems and one more strap that is attached to the liner above the knee. Fit and adjustment are pretty straightforward and easy. The directions help you get them dialed in properly, but optimum fit could take some testing time. We rode many different days and for hours on end with these braces, and they fit extremely well. If you don’t ride hard and sit down constantly, we don’t suggest getting knee braces. The EVS Axis braces come in sizes small to extra large instead of a one-size-fits-most deal. We could barely tell they were on while riding, but off the quad they are noticeable, and wearing the leg socks is a must. The construction and fit of this product are great, and we praise the protection! Go to www.evs-sports.com or call (800) 229-4387 for more info on all of its gear.